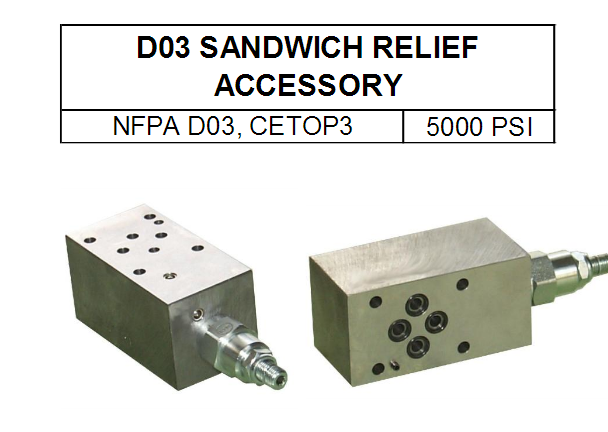 D03 Sandwich Relief Accessory | Almo Manifold & Tool Co. 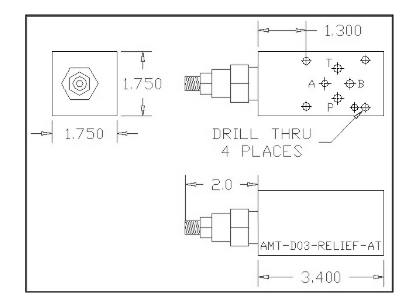 This D03 relief accessory can be combined with an AMT-PRC-**L to create a high/low relief valve with two independent relief settings. 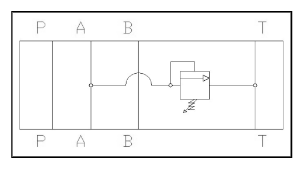 Using a standard directional control with flow from “P to A” in the de-energized condition will select the relief setting of the cover. 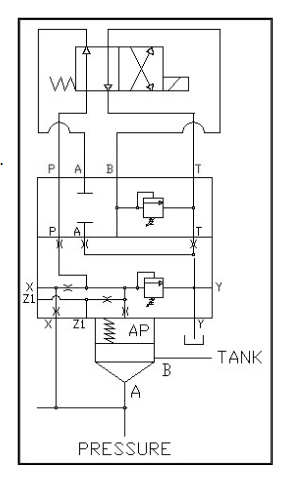 Energizing the pilot valve will switch the relief setting to the accessory. 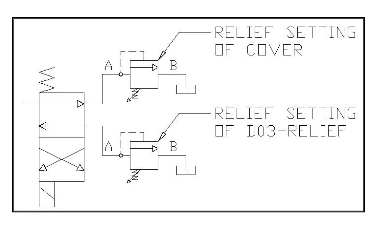 Note: The relief setting of the accessory MUST be lower than the setting of the cover. 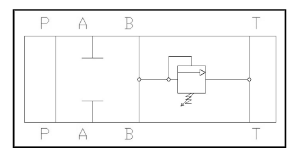 The “Y” pilot can be connected to the “B” port but a separate drain connection is preferred. 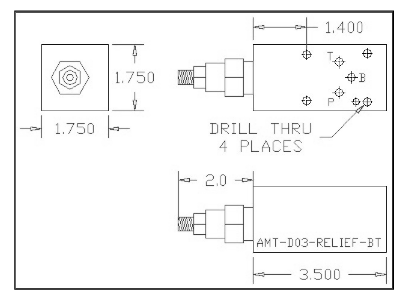 This configuration uses a 1:1 ratio insert. Note: The D03 accessory & DIN cover can be ordered separately. This code is for convenience only.